Even the most basic components are available in a bewildering number of choices. This is also true of the AR’s magazines. A simple trip to the local gun store will turn up a dozen or more types of magazines, all proclaiming to be the One Mag to Rule Them All: 3 or four alloy varieties, steel, half a dozen plastic offerings. What does a switched-on, gives-a-damn prepper buy, huh?! You had better choose wisely: any semi-auto firearm, no matter how impeccably designed, no matter how scrupulously maintained, will only ever be as good as its magazine. You can take that aforementioned thrice-blessed firearm, one that has never failed, never malfunctioned, stick a crap magazine in it and buckle up: you’ll be on the express train to Malfunction Junction. Every magazine may vary in specific characteristics like material construction and capacity, but every other proclaimed feature will not count for anything in the face of the two prime considerations: reliability and durability. On that front, not all magazines are created equal. Plenty are of adequate usefulness but only a few manufacturers are of truly exemplary performance. In this article, we’ll take a look at what makes a good AR magazine good, and which ones are worth your hard earned dollars. The design, inception and adoption of the AR-15 family of rifles has been covered in extensive detail previously and I will not take up much room in this article to delve in to that except as it pertains to the evolutions of the AR’s magazine, which no coincidentally remains a fairly controversial component of a rifle with a controversial beginning. When the AR was young, around the time of its military adoption for use in the Vietnam War as the M16, the rifle was designed with (and saw issued with accordingly) a lightweight, aluminum magazine, first containing 20 and then later 30 rounds. These magazines are highly distinctive and easily recognized by their longitudinal grooves along the sides, “bent” curve geometry and thin, dainty construction, especially the feed lips. Remember that salient point, it will become important later. Then, as now, the alloy AR/M16 magazines, often called a USGI magazine, were not considered too good as far as rifle magazines went: they were very, very lightly constructed, especially when compared to the beefy and seemingly invincible magazines employed by other contemporary rifles like the M14 and AK family of rifles. They were fairly easy to damage. While light and otherwise a reliable feeding device when in specification and undamaged, the original AR/M16 magazine would be seen as the rifle’s Achilles’ heel long after the other teething problems endemic to its adoption were ironed out. Over time, the now standard 30 round alloy magazine was improved for military issue which subsequently filtered down to the commercial markets and thus civilian consumption. These changes were typically revisions (arguably improvements) to the follower geometry and sometimes the magazine spring and body. These are not always easy to identify, even to seasoned AR enthusiasts, but are typically classified by the color of the follower: black is earliest, followed by green, and then tan for the latest generation alloy magazines. This is of course complicated by the prevalence of aftermarket “upgrade” kits which feature replacement followers in any number of colors mentioned, as well as “non-standard” colors like yellow or orange that are intended to help a user discern an empty magazine at a glance, whether in the gun or not. Alloy would not always be the standard, however: in the 1980’s polymers were first used in the making of AR magazines. While polymer magazines made by quality manufacturers are wonders of reliability and performance, this was decidedly not the case in back in the 1980’s world of AR mags. Early plastic mags like the Israeli Orlite and American Thermold were plagued with problems like brittleness, poor feeding reliability, and vulnerability to solvents and high temperature. The problems then were seemingly insurmountable. Sure, there were a handful that worked fine, probably, and they had their fans, but alloy magazines of good make were still far and away superior. It was not until the introduction of the PMAG, from a then small little company called Magpul, that the code was cracked on polymer magazines: the PMAG was possessed of excellent reliability thanks to terrific engineering. Several of its features were major shifts away from traditional AR magazine design, but shifts for the better. The PMAG was and is far more durable and reliable than the typical legacy AR magazine, and after a few prominent tests and adoption by well-known shooters the PMAG shot to stardom, and today is the standard by which magazines are measured, even going so far as to be adopted as standard issue by militaries at home and abroad. As is the American way, the PMAG saw its fair share of “me too” imitations looking to capitalize on its success. Some of these new breed polymer magazines have features that their manufacturers hope will make them more appealing than the now ubiquitous PMAG, and some are even excellent magazines in their own right, but there are scant few that will ever approach the performance of the PMAG. So that is the abbreviated life and times of the AR-15 magazine. 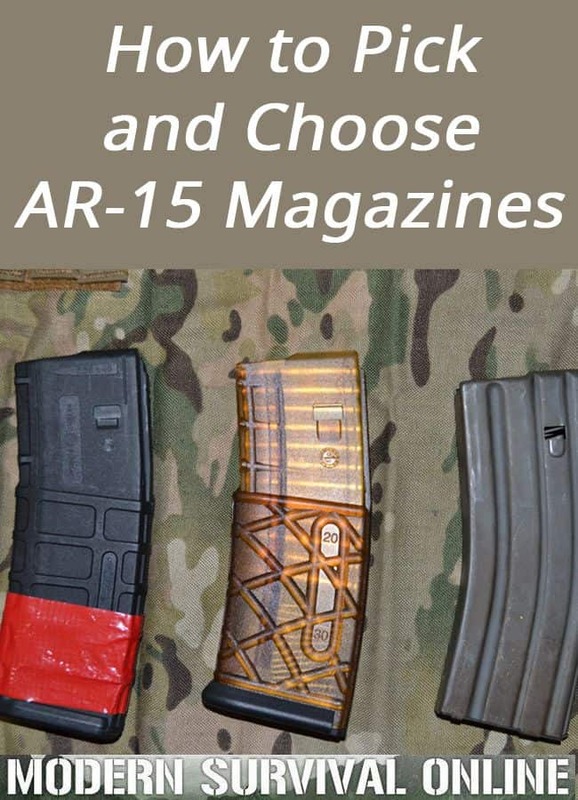 But we still have not decided the question of which AR magazines are best? Is polymer clearly superior? Are metal magazines still viable? Keep reading and we’ll answer all of your questions before the end. Metal magazines are usually lightweight, thin and often cheap. Good ones will feed reliably, and they are easy to procure in most places, being a standardized magazine for most NATO signatories. That is where the good ends, sadly. Metal magazines are far frailer than their polymer cousins, and suffer from a major weakness in their feed lips. Examine the feed lips of any metal AR magazine and you will notice how thin and frail looking they are. That is a major bummer because correct, in-sped feed lip geometry is critical for magazine reliability. A dent, ding or other damage to the feed lips, say from dropping them in battle, practice or competition, will readily ruin this precise specification, and then your magazine will begin to produce feed malfunctions. Sure, one may attempt to tweak or massage a reprobate magazine back into working order, but even in the case of little deformation the lips have been irreversibly weakened, and will never again be as reliable as it once was. This means that a suspect metal magazine may not be visibly unsatisfactory outside of using a feed lip gauge, and even when it is showing in-spec it may have been previously deformed and pressed back into service. When considering a metal magazine, you’ll generally be encountering them in a few broad categories, rather the following are categories that I personally lump them into as it greatly expedites my decision making process on selection. Vintage aluminum magazines are often surplus, hand-me-downs or gun show grab-bags. While often available for free or pennies on the dollar, these magazines are usually decommissioned and being resold by unscrupulous or unknowing sellers. Modern aluminum magazines are typically close to or identical in function to vintage magazines of older mark, but are simply made recently for purchase and use. While not a bad choice by any means, you will not be doing yourself any favors choosing an older iteration of a magazine that has undergone more or less continual improvement. Buy these in a pinch, or if you get a smoking deal, but you should prioritize purchasing the best magazines possible for preparedness or defensive use. Enhanced aluminum magazines are modern magazines that are made to the latest specification for aluminum USGI mags, and often exceed it. The excellent Okay Industries Surefeed mags are one such excellent example. These often make great choices for a primary use mag, and may only be faulted for their theoretical inferiority to equivalent polymer magazines. 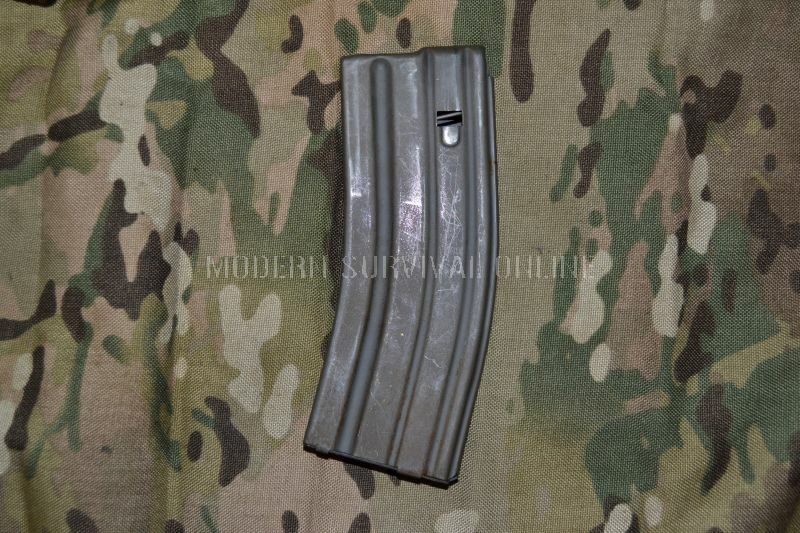 Steel magazines are a less common make, being essential the same in most features to alloy USGI mags with the obvious change that the magazine bodies and sometimes the followers themselves are made of steel. These were created to address perceived faults in alloy magazines, though they are still very vulnerable to feed lip deformation, and have the added detraction of being heavy and very expensive, as typified by H&K’s enhanced reliability magazine. As a rule, not worth the expense. Polymer AR magazines vary greatly from their metal cousins, even in basic categorization. Polymer mags were not OEM for the AR-15 family of rifles, and so there is no design standard, though the best and most popular of these modern magazines, the PMAG, is now the default industry standard by which others are measured against. Ergo, the design characteristics of polymer magazines vary greatly from maker to maker. Some are of multi-part body construction and others are of a unibody type. Some use metal feed lips or feed lip inserts to address a perceived weakness, others have polymer feed lips all the way through. Some employ traditional feed geometry while others have sought to employ constant-curvature design for better reliability. Some are translucent, others opaque and still others have a window for visual estimation of remaining ammo. Some are designed to use snap-on floorplates for a variety of additional functions. The possibilities are endless, and growing, as companies constantly strive to create a better mousetrap. 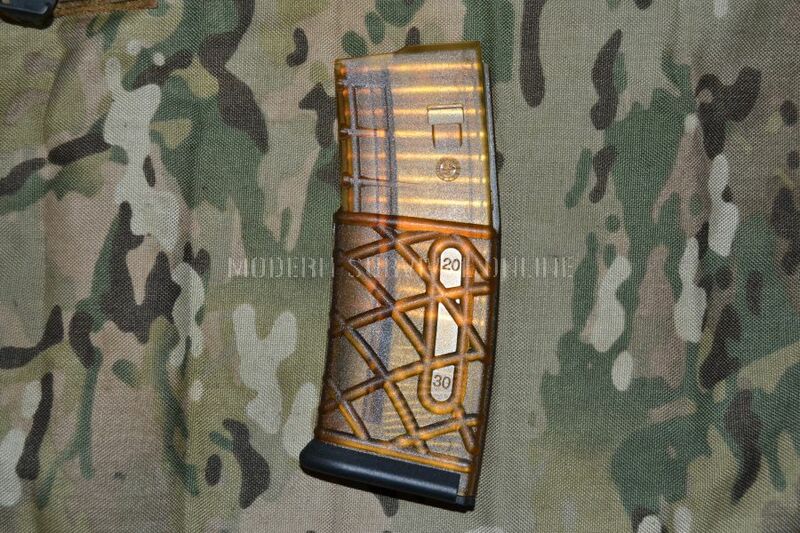 The most essential perk of polymer magazines is that almost all of the quality brands are undeniably and provably tougher and more resilient to damage and deformation than metal magazines, especially their feed lips. Take the Magpul PMAG for instance: the feed lips of the PMAG are manufactured in such a way that they will not deform out of spec without breakage. Sounds meaningless, until you consider the fact that a visual inspection on a PMAG that turns up a chip, crack or other obvious defect will be readily apparent. No guessing games unlike metal magazines! 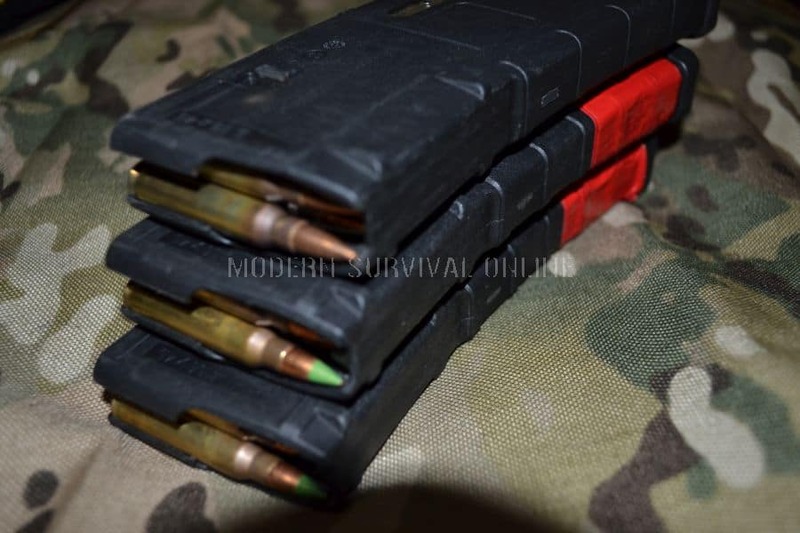 Polymer magazines enjoy much longer service lives and will withstand far more incidental damage resulting from real-world use and training than equivalent metal magazines. This alone makes them the go-to choice of most serious shooters today, and I can (and will, later in this article) recommend several brands with zero reservations. Polymer magazines still have their warts, however: some do not fall free in one brand of AR or another due to tolerance stacking issues. Some will be difficult to insert or remove in other types of rifle that utilize AR magazines, like the SCAR, some AUG’s, and many others. Some makes of polymer magazine seek to differentiate themselves from the dominant PMAG by ensuring their single magazine is compatible with all “STANAG” magazine rifles, unlike Magpul’s offering which led to their introduction of the EMAG, a specially designed PMAG, for 100% compatibility with foreign weapon systems. Polymer vs. Metal: Which Should You Buy and Use? Bottom Line: Polymer. Their advantages are too many to ignore. That being said, the long answer will show that metal magazines are far from useless, or not worth your bucks. The prime consideration for selection of any magazine is reliability and durability. In almost any conceivable situation all other concerns and characteristics are secondary. I can assure you there are both polymer and metal magazines made today that are reliable and durable, so if you absolutely must have metal magazines you can still be assured of obtaining quality ones (though I would argue that no metal magazine will begin to approach the ruggedness and longevity of today’s best-in-class polymer magazines). This gets a little more complicate when taking in to account that most prolific users of metal magazines will have a variety of types, generations and ages of metal magazine, not 20 of one, newer make. This means making a direct comparison as to the efficacy of their grab-bag of metal mags against modern polymer magazines is going to be challenging. If you are purchasing magazines for serious intents, I strongly encourage you to only buy modern, new magazines, whether polymer or metal. Assuming you have a good-running gun, then they will provide the performance you need when the chips are down. The variables for selection are great, so in the interest of helping readers make good decisions on purchasing these essential components I have listed in the next section a cheat-sheet of sorts outlining the most important criteria for purchase and use of AR-15 magazines. There are plenty of makers churning out magazines with all kinds of nifty coatings, gadgets and gimmicks included, and fancy-pants moldings or finishes that look really attractive. None of that is worth a damn if the magazine does not work and can be counted on! The best of the best magazines have been tested, adopted and rigorously peer reviewed in professional settings, not on Instagram, and not by Cousin Bobby and his pals. Do not trust your life to inferior magazines. Don’t give in to special snowflaking. Let someone else be the beta tester. Buy proven mags. First Occurrence – Mark the magazine boldly. Second Occurrence – destroy magazine and discard. Take no chance that someone else may find and repurpose it. Always suspect vintage magazines in anything except as-new condition as being suspect until proven otherwise. Magazines are like socks and underwear – disposable! Don’t fall in love with your magazines. Use them till they fail, then discard them. Don’t wait for the magazine to begin malfunctioning constantly. That being said, if a magazine works, it flat works. I have Vietnam-era alloy magazines that run like champions. I have lesser-made freebie magazines from swap meets and given to me as promotional goods by B-tier manufacturers that work with no issue in my AR’s and other guns. And I have personally shot thousands and thousands of rounds through them I would not decommission them over name alone. That being said, I am in no rush to buy more of them when I can buy more PMAGs or Okay mags; I would simply have to test too many of them to establish a large enough sample size to satisfy myself that they were, as a brand, good to go. I know PMAG’s and Okay Surefeeds will never give me an issue unless I have a lemon. On that note, test your magazines! Never declare a magazine as defense or duty worthy until it can at least fire off a full 30 rounds as fast as you can pull the trigger and from any position. Like I said, lemons happen, and you’ll be scrambling to make lemonade (read “not die”) if your “infallible” super magazine you did not test but instead shoved into your defensive rifle belches forth a malfunction when two murderers are in your living room at midnight. Feed lip fatigue is real; caused by pressure of round stack by fully compressed spring. 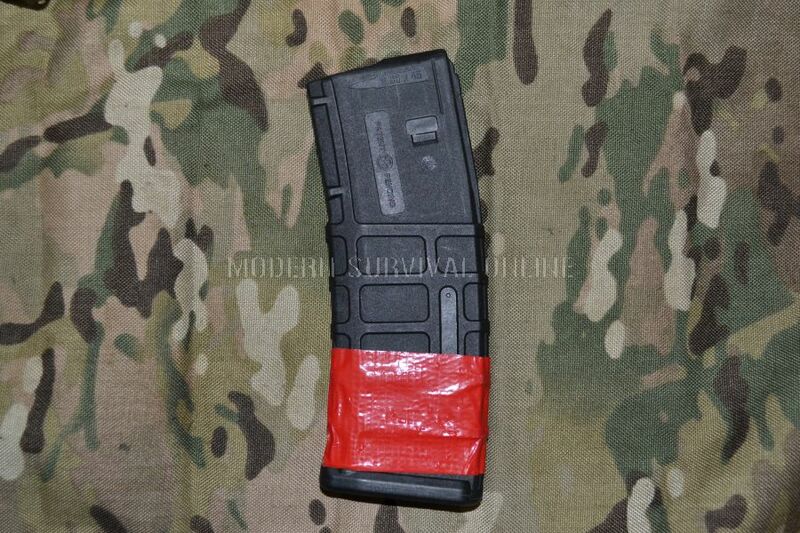 Polymer magazines less vulnerable; especially PMAG w/ attached top cover. With desiccant or other moisture control solution. Keeping a bunch of rifle magazines stashed loaded and at the ready sure gives the warm and fuzzies, but you need to do it properly. As I said above, take special care of leaving fully loaded metal magazines stored for long periods of time. While I have never experienced this personally, as I shoot off most of my magazines in the course of my training and work rotation regularly, there is much vetted expert opinion on the matter of feed lip deformation caused by the pressure over time exerted by a fully compressed spring. Polymer magazines are much less vulnerable to this deformation for the reasons discussed earlier in the article, and in the case of the Magpul PMAG it makes use of a special snap-on top cover for the express purpose of alleviating that pressure from the feed lips and sealing the magazine against dust and debris intrusion. I can tell you from experience that I have left several PMAGS loaded for well in excess of a year, with no top cover, and later retrieved them, using them in an extended training day with absolutely no malfunctions of any kind. So the top cover, while a good design and well executed, is probably no strictly necessary for storing the PMAG loaded. Buy good magazines, preferably PMAGS. Test them. If they fail, trash them mercilessly. If your magazines work, they work. So if you have purchased good magazines that you have proven yourself, insert and drop from your gun easily, and are durable stop worrying about the latest, greatest or “best” magazine and drive on. The AR magazine has together traveled a long way with its parent rifle, and grown and evolved beyond its original specification nearly as much as the AR itself. But no matter how good an AR is, it is nothing without a quality magazine to feed it. Armed with this guide, you now hold the knowledge needed to sort the wheat from the chaff and the snake-oil from the real contenders so you can keep your AR loaded and making a pile of brass. PMAG Gen 2 are good magazines, but they are not maximum durability, failing the “full gun drop test”. 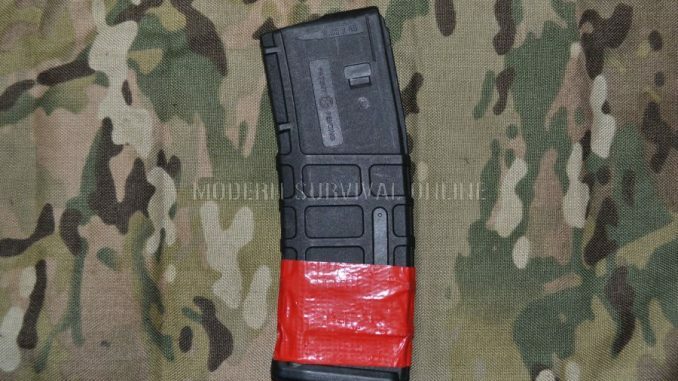 Gen 3 PMAGs pass this test and are about as durable as you can find. Any input on Lancer AW mags? They also passed the “full gun drop test”, but I’ve heard some disturbing claims about other problems. Regarding the Lancer AW magazines, I have used them for a time in and out of classes with no problems. It is a very small sample size, but my examples functioned and held up fine. But that’s the rub for me: considering just how many PMAG’s are in circulation and with so many different users, and them reporting overwhelmingly positive results, what incentive does one have to take a chance on a comparative unknown? What is the benefit? Like you, I have read reports on feed lip separation among other failures with the Lancer, but similarly not enough and from enough people to let me pass judgement on them wholesale. I won’t declare them bad just because they are not PMAGS, but I also cannot call them good to go off such limited data. I have oddball magazines that have functioned 100% with no issues as I mentioned in the article, and I have no intention of ditching them without cause, but when the time comes for me to add magazines to my stock I wind up buying, you got it, more PMAGS. I can’t deny that Gen 3 PMAGs are the top choice. However when I was looking for some FDE colored ones, PMAG didn’t offer any. Lancer did, and so did Troy and the Troys were dirt cheap ($8). We have used our Lancers and our Daniel Defence 32 rounders excessively. Over 300 uses for 20 total mags with FF or FF. They have been great. Having said that our Gen 2 P Mags have been fantastic as well. Can you identify the issues and possibly any concerns of the Gen-1 and Gen-2 VS the Gen-3 PMAGS and how to identify each. A fellow did a “drop test” onto concrete of a fully loaded PMag Gen 2 inserted into a rifle. The Gen 2 fell apart. The Gen 3 did not. Personally, I’d be more concerned about the damage to the gun… And I’d go for Gen 3 unless the Gen 2 were half the price (cause if I’m dropping a rifle onto concrete, I’ve got bigger concerns than whether the magazine survives). I don’t have any gen 1 or gen 2 PMAGs, so don’t know how you would tell them apart. As a professional tester, I’d never touch a gen 1 anything, but gen 2s are quite satisfactory under most conditions. I carried and used an M16A1 in Vietnam. I had one malfunction and it was traced to a bad 20-round mag. Luckily, we were only on a range zeroing our rifles. The Gunny in charge had me unload it, throw it out on the range and we shot the crap out of it so it couldn’t get used again. I carried and used M16 variants for 21-years in the military, active and reserve, and had no more issues with the rifle. I own an AR-15 now and use only PMAG Gen 3 mags. I am very happy with them.